Since the year 2000, the number of people getting plastic surgery has slowly been declining with 6% fewer people being treated in 2017. But this only applies to the cosmetic surgeries. When it comes to non-surgical cosmetic procedures in general, nearly 70% of people say they are considering it. The wave surrounding body-positivity means that the most invasive surgeries have fallen out of favour. However, it’s perfectly natural to want to change parts of ourselves for the better to feel more confident and happier. So now, people are looking for enhancements which address slight and subtle parts of their body they would feel better about if it was different. Every year, new technology and improved methods are discovered. This means that cosmetic enhancements are becoming less intrusive and more focussed on enhancing natural beauty. The advantages of these techniques is that many of them have little to no recovery time or risk of bruising and scarring. They are also often temporary meaning effects can last anywhere from a week to a couple of years. This is great because it allows people to experience the changes they wanted without having to worry about anything permanent in case they change their mind. It also means that if you do enjoy the results then you can opt for a more permanent solution with full confidence that it will give you what you want. Take a look at some of the procedures making waves this year. This procedure is popular and proven to be effective for both men and women. It’s an excellent way to change the shape of your face and jaw without doing anything drastic or permanent. It’s a popular choice for many celebrities who want to look their best but don’t want to risk damages. We’ve all seen how plastic surgery can go wrong. So the latest methods are kinder to your skin and even fade over time. As an alternative to facial augmentation, this non-invasive procedure works by injecting dermal fillers. This shapes the area they’re injected into for better definition and contours. The procedure itself is simple too. You sit back, receive a series of shallow injections and will see results that same day. 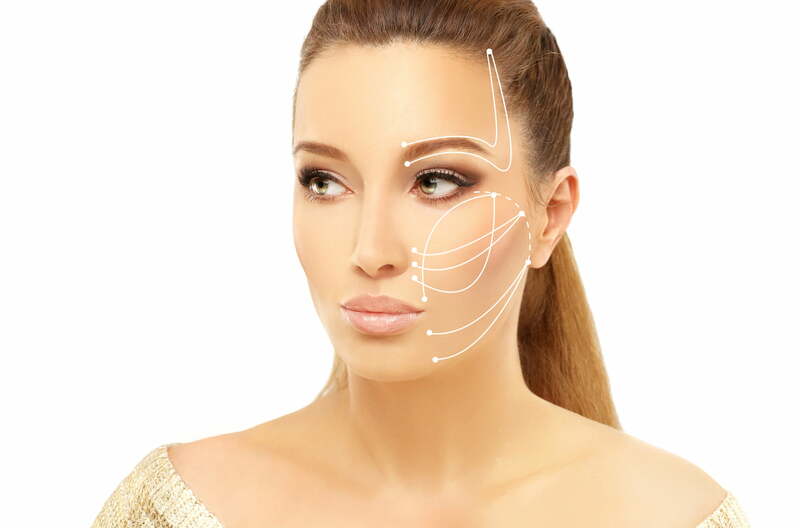 Facial contouring provides opportunities to adjust many areas of your face. Women tend to ask for defined cheeks or alterations to their chin. This balances their profile leading to a more harmonious look. It also allows you to reshape the ratio of your face for a better profile and more symmetrical look head-on. For men, it’s a great way to shape their jaw and get that chiselled, defined look. Guys with rounder faces tend to go with this option to appear more masculine and can even add a chin dimple if it suits their face. In the quest to reach that gorgeous skin with a healthy glow, Mesotherapy has emerged as an excellent choice that provides quick results. The latest research has uncovered what combinations of amino acids, minerals, vitamins, and a few other components can do for certain skin issues. Because every problem is different, each person will receive a slightly tailored mixture to address their area of concern. It’s a vastly improved approach that surpasses the one-size-fits-all options that were available in the past. The treatment is a series of shallow injections across the surface of your skin. This helps hydrate and boost the tissue underneath. The mico-swelling also helps soften and fill out lines on the surface leading to a healthier, more youthful appearance. The injections can be somewhat painful but most doctors will provide a cream to help numb the skin and reduce any feeling of discomfort. It can lead to slight bruising and/or swelling directly after the treatment. But within 24 hours at the most, this will be gone leaving the positive effects of the treatment behind. Many report the first treatment lasting for a week if not longer before effects begin to diminish. This is why it’s recommended to have a number of sessions in the first few months and then one to two updates a year after that. For firmer and more luminous skin that looks healthy, it’s an option that many will be going for this year. We spend hours upon hours a week looking at ourselves in the mirror. From applying make-up and doing our hair to looking for spots and applying creams, we get an up close and personal look at our nose from every angle. For many, there are a few areas we would love to change but don’t want to go through an entire surgery for it. Once again, dermal fillers come to the rescue as a fantastic option. They are injected into the nose in key areas to help shape it to your desired look. You can fill in bumps, adjust the tip, and even alter the bridge for a more symmetrical and even appearance. Whereas surgery can remove parts of the nose and be a life-long commitment, non-surgical rhinoplasty provides instant results that last from a year to a year and a half. It’s a great way to enjoy cosmetic benefits without the risk and can even help you decide if a permanent surgery is even something you want. As mentioned above non-surgical cosmetic procedures are becoming increasingly popular. The improvement is allowing more people opportunities to try adjusting their looks with less risk. Their less-intrusive techniques make them perfect for those wanting to shape up for summer or an upcoming event. Check out our list of treatments and see if there are any that speak to you.